What a beautiful place. We had a hill where Hubster proposed to me, that we would go to occasionally, clear up until someone built a house there. There is a quicky gas station where Cap'n Chaos and I first met. Absolutely beautiful. I wish you still had that picture. I remember those cameras. Remember the flash cubes? Those were awesome after you took a picture. My momma still has one of those cameras that use film....gasp! Brad is coming to Alaska in July (this will be his 3rd trip!). This year instead of Kodiak they are going to Kotzebue. Are you familiar with that area? 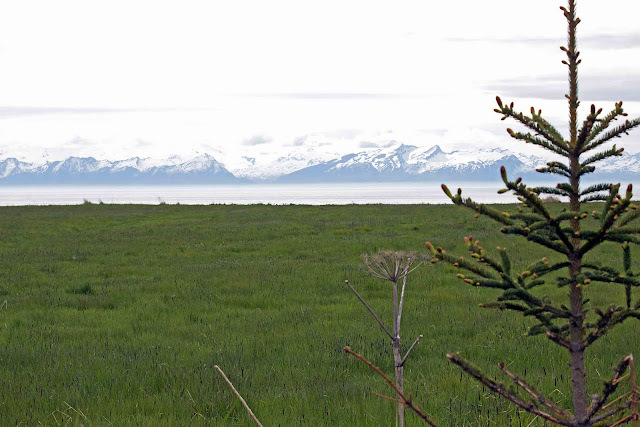 Amy, I wouldn't consider Kotzebue the prettiest area in the state—which isn't to say it doesn't offer its own sort of appeal—but I'm glad to hear he'll be visiting in July, when it's relatively warm up there.